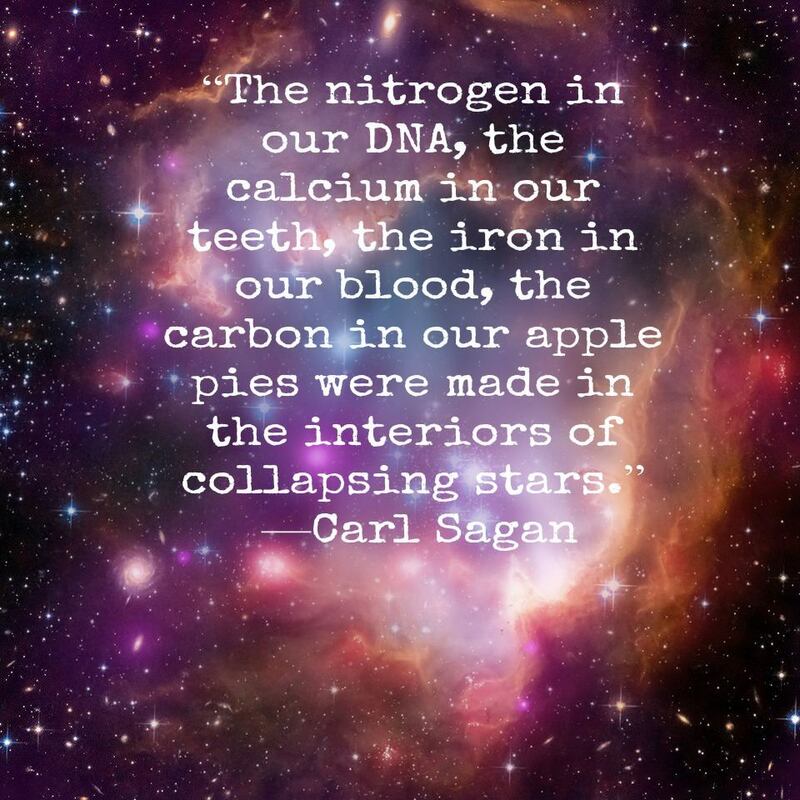 One thing I know for sure is that I am cosmic, made of the stuff of stars. 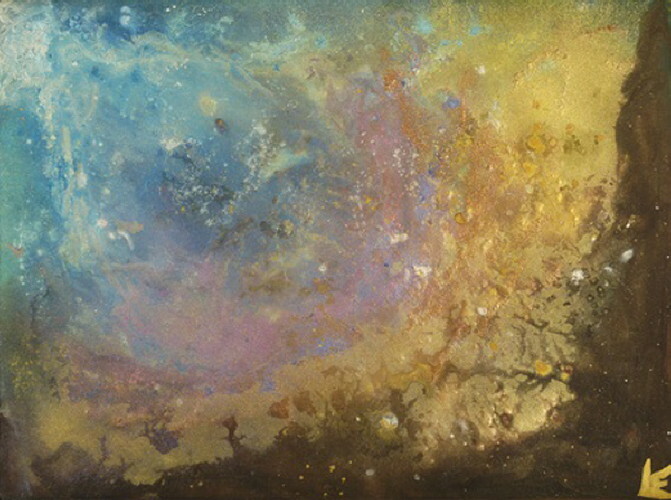 I began creating paintings in my Santa Monica art studio in the fall of 2010 that depicted images of the cosmos. I didn’t question why I was painting these images or even have a cognitive motive to paint the skies, the heavens, the starry galaxies. I was simply following my creative impulse and following my bliss. 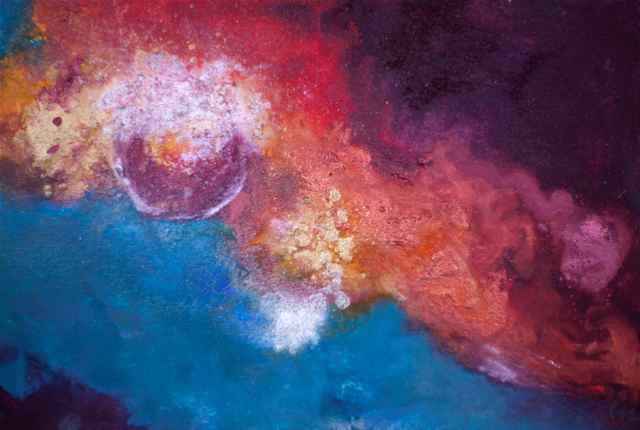 I began to engage more and more with the imagery from the various NASA space telescopes and paint abstract, textured and sparkly paintings on paper mostly, and enjoyed the process so very much. In the summer of 2011, I began to receive lots of encouragement to show and share my artwork in our world. At the time I was teaching art full-time in the public school system and was beginning to moonlight as a professional artist. 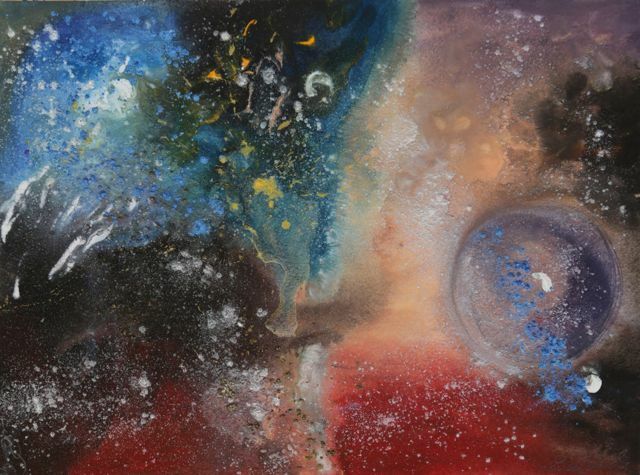 I gradually began to show my work at more and more art galleries in the Southern California region, as well as continue to paint and fall in love with our cosmos. In late 2012, I began to engage more deeply with the available knowledge about how super connected we are to our cosmos, how it is in our very DNA, as well as engage with a variety of teachers, leaders and authors of books about the star nations and multi-verses that exist. This content and focus of my work is more exciting as ever with new documentaries coming out all of the time and mainstream television shows being produced, like Cosmos: A Spacetime Odyssey, the sequel series to Cosmos: A Personal Voyage presented by Carl Sagan in 1980. I just discovered this new 2 hour video called Earth from Space produced by NOVA, that reveals a spectacular new space-based vision of our planet! There are many programs found online and via youtube, like this one that I really enjoy from NOVA in 2004, the Origins series. I believe that we are just scratching the surface about what “we know”, however, I love how art imitates life in so many mediums! I feel lucky to be able to this very day, show my work throughout Southern and Northern California since 2011 and have enjoyed such a wonderful time the past 6 weeks sharing many of my original cosmos and earthscape inspired paintings in Laguna Beach at Lang Fine Art. 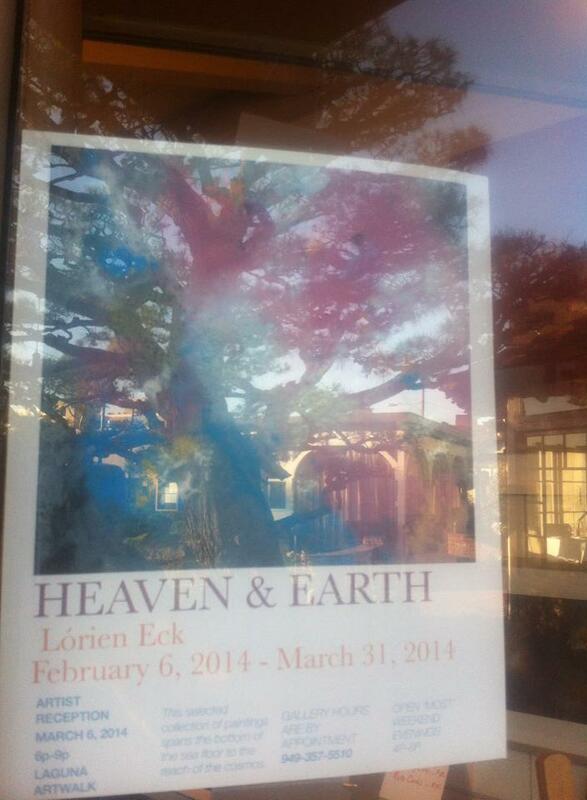 This show is open for 1 more glorious week, up through March 30, 2014.